I hope you’re all enjoying 2011, and getting back to the daily grind isn’t too painful. I’m proud to report that The Nancydraws Shop did more business this Christmas season than last year, which was my first year. Thanks to everyone who made a purchase and passed the word along! I also have an illustration in the current Winter issue of the Park Slope Reader. 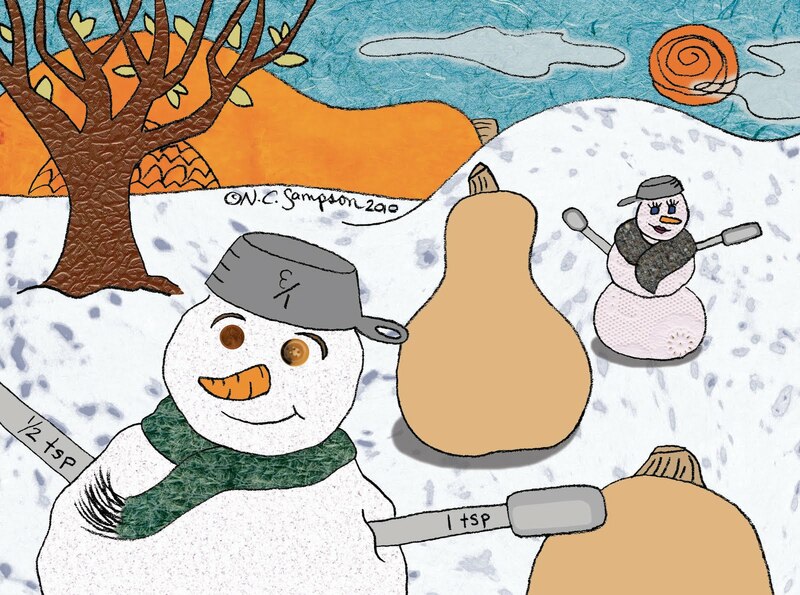 The article my artwork goes with is about cooking with butternut squash. One of the recipes is for Thai Butternut Squash soup and I ended up making it in tandem with my illustration. Delicious… I wonder if it affected my creative skills for this piece. I have some new ideas for the Nancydraws Shop for 2011; I’ll let you know when I post my birthday card designs for sale. Until then, I hope you stay healthy and happy.